Is there anything that could have made the *NSYNC VMA reunion any better? Yes. There are lots of things that could have made the *NSYNC VMA reunion better — jet packs, the return of Justin Timberlake's ramen noodle hair, a different song catalog. The list goes on and on. 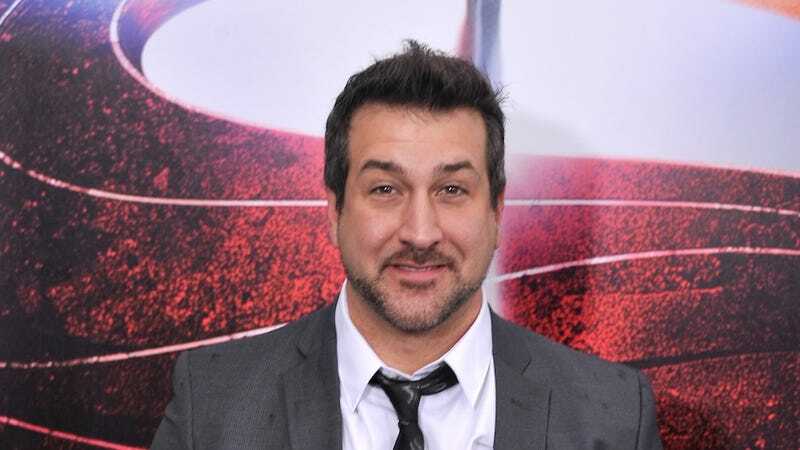 Still, there is one thing that happened during the boy band's reunion that couldn't possibly be topped: Joey Fatone probably farted, which is to say that Joey Fatone definitely farted. A paparazzo caught up with Fatone as he was returning to L.A. following the Brooklyn-based awards ceremony and hammered him with questions, chief among them being whether or not Justin Timberlake would ever be down for an *NSYNC reunion tour ("No," Fatone replied, smiling bravely as he choked on his own tears. "He's doing his own tour. He's doing his own thing.") and whether or not there was any truth to Kevin Hart's award show joke that he had farted on stage. "Probably," Fatone "joked" back. "Under the stage maybe." 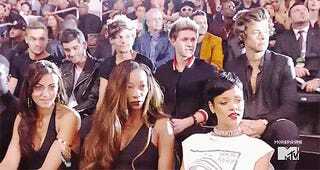 To Joey's credit, who didn't fart at the VMAs? Miley Cyrus and Robin Thick: Double farts. One Direction: Farts in many directions. You're in good company, Joey FART-ONE.